Orange County Paper & Chemical is one of the leading distributors of industrial supplies and industrial floor maintenance equipment in Santa Ana California and services the Orange County and Los Angeles areas. Established since 1987, the business has grown as an eminent supplier of an extensive range of high quality industrial products. OC Paper & Chemical aims to expand the product line and enhance services for present and potential clients. 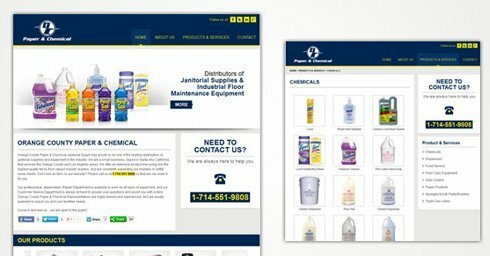 With the vision to outreach customers through a professional and a highly accessible medium, OC Paper & Chemical aspired to showcase its business online. The supplier wanted a simple and precise presentation of its wide range of products, some of which include chemicals, dispensers, floor care equipment, odor control, paper products, brushes and trash can liners. OC Paper & Chemical selected Dharne & Co (http://www.dharne.com), a leading web designing company to transform its vision to a business website. The website, http://www.ocpaper.com is primarily designed using the WordPress content management system and features fundamental elements such as an interactive map to locate the store and categorical presentation of all the products. 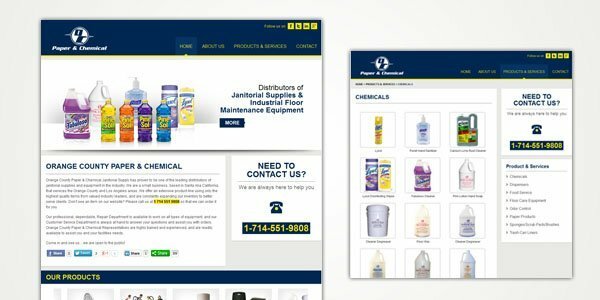 The new website is highly navigable, and the ‘products and service’ page has a comprehensive list of all janitorial supplies and distinct images of the product line for each category. For customer convenience, a ‘contact us’ form has also been added to the website.